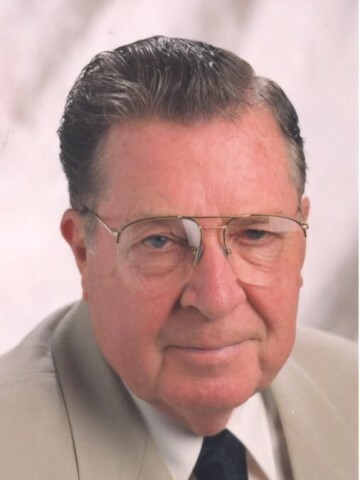 LATIMER, Charles G. age 89 of Goodlettsville, passed away November 5, 2013. He is preceded in death by his son, Charles Michial Latimer. He is survived by his loving wife of 66 years, Bettye; daughter, Celeste (Bill) Thomas; grandsons, Nick (Kelley) Thomas, Rob (Heather) Latimer, Garth (Dana) Thomas, John (Abbey) Latimer; great grandchildren, Brooklyn, Jake, Tucker, Trent and Harper. Family will receive friends Friday, November 8, 2013 4-8pm at Cole & Garrett, Goodlettsville. Funeral Service 11am Saturday, November 9, 2013 at Cornerstone Church, Madison with visitation 1hr prior. COLE & GARRETT FUNERAL HOME, (615)859-5231. IT IS WITH HEAVY HEARTS THAT WE SEND OUR DEEPEST SYMPATHY TO YOU IN THE PASSING OF “CHARLIE”—A WONDERFUL MAN AND A GREAT FRIEND. PLEASE ACCEPT OUR PRAYER THAT GOD WILL MEND YOUR HEARTS QUICKLY WITH YOUR BEAUTIFUL MEMORIES, LOVE, AND MOMENTS. THANK YOU FOR THE LEGACY “CHARLIE” LEAVES US WITH AND THE MANY GOOD TIMES HE SHARED WITH OTHERS. AS THE ANGELS SANG, HEAVEN WELCOMED “CHARLIE”–A WONDERFUL MAN AND A GREAT FRIEND; WE LOVE YOU “CHARLIE”. WITH OUR LOVE AND BLESSINGS TO EACH OF YOU. IT IS WITH HEAVY HEARTS THAT WE SEND OUR DEEPEST SYMPATHY TO YOU IN THE PASSING OF “CHARLIE”—A WONDERFUL MAN AND A GREAT FRIEND. IT IS OUR PRAYER THAT GOD WILL MEND YOUR HEARTS QUICKLY WITH BEAUTIFUL MEMORIES AND MOMENTS. THANK YOU FOR THE LEGACY “CHARLIE” LEAVES US WITH AND THE MANY GOOD TIMES HE SHARED WITH OTHERS. AS THE ANGELS WERE SINGING, HEAVEN WELCOMED “CHARLIE”–A WONDERFUL MAN AND A GREAT MAN! Sweet Celeste, so sorry for your loss. I laugh every time I think about the bubble bath story. He was so funny and such a story teller. I’m sorry for your loss and we will keep the WHOLE FAMILY in our prayers. We send our condolences and prayers for peace and comfort to all of the Latimers. I could not have been more than 4 or 5 when we went to see Gordon when he was home on leave. I have always had the image of the handsome Gordon in his sharp uniform before he shipped out to another part of the world. Angels are always near to those who are grieving to whisper to them that their loved one is safe in the arms of their Lord. I’m very sorry to hear about the loss of your grandfather. My prayers are with you. We extend our deepest sympathies to John and all of his extended family. John very sorry for your loss. Thoughts and prayers are with you. I am very sorry for your loss. It is never easy to lose a family member. My hope for you is that the good and warm memories will give you comfort during this sad time. May you feel God’s presents and support at this time. I am so sorry about your grandfather, I know you were very close to your grandparents. My thoughts and prayers are with you all.